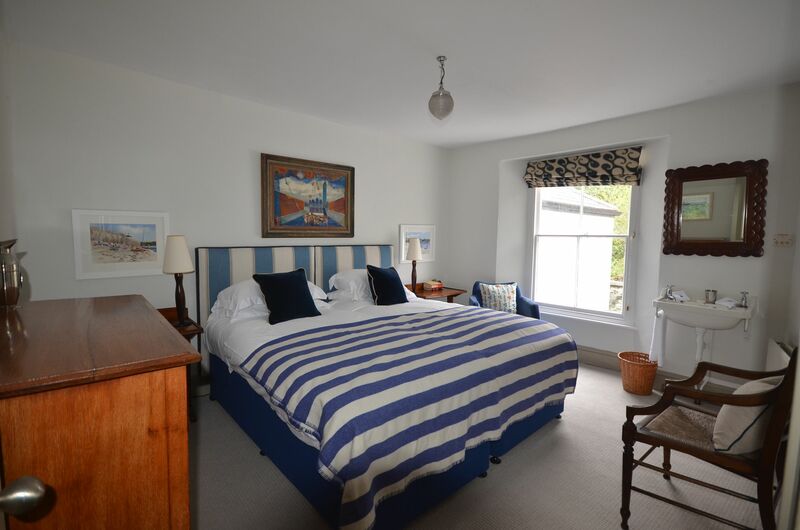 The Anchorage is a substantial and comfortable holiday home in a prestigious area of St Mawes with wonderful sea views over the harbour to the Lizard Peninsula. 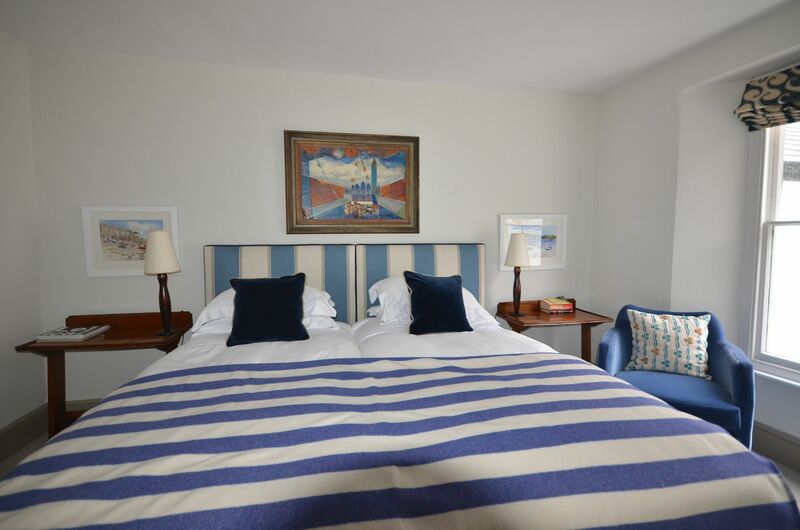 Adjacent to the world renowned Hotel Tresanton, it is just yards away from Tavern Beach. 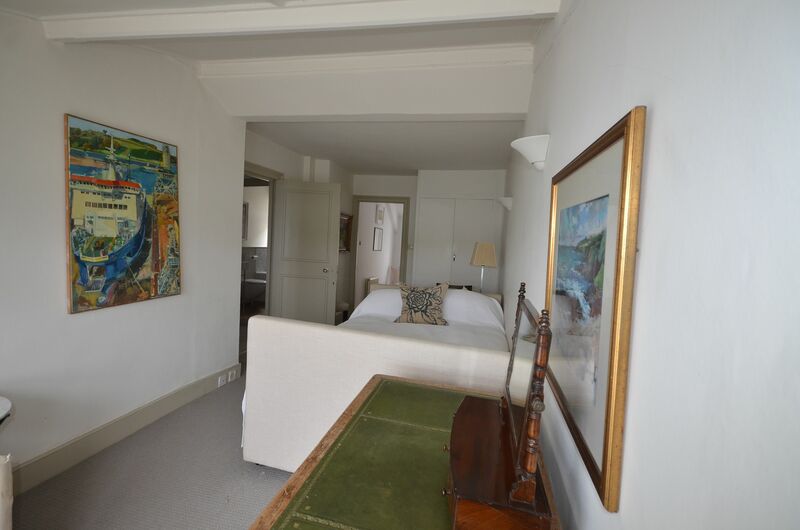 The tiled hall leads through to the very pleasant dining room that seats eight persons and has French doors leading to a private courtyard with garden furniture. 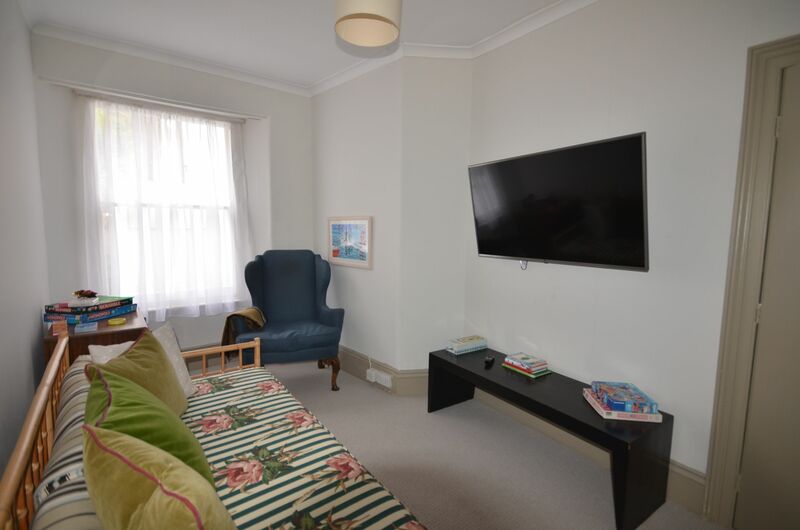 The comfortable lounge with lovely sea views has Sky TV, DVD, a music centre, and an open fire. 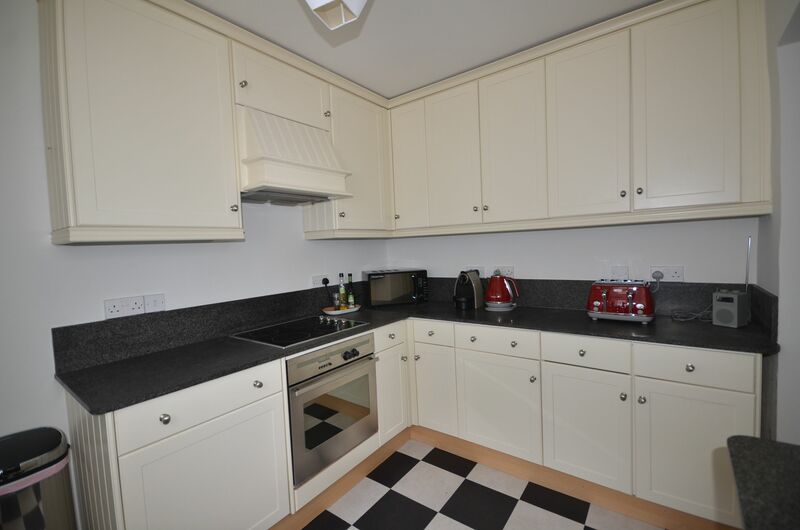 The kitchen is nicely equipped with electric oven, ceramic hob, microwave oven, and a Belfast sink. 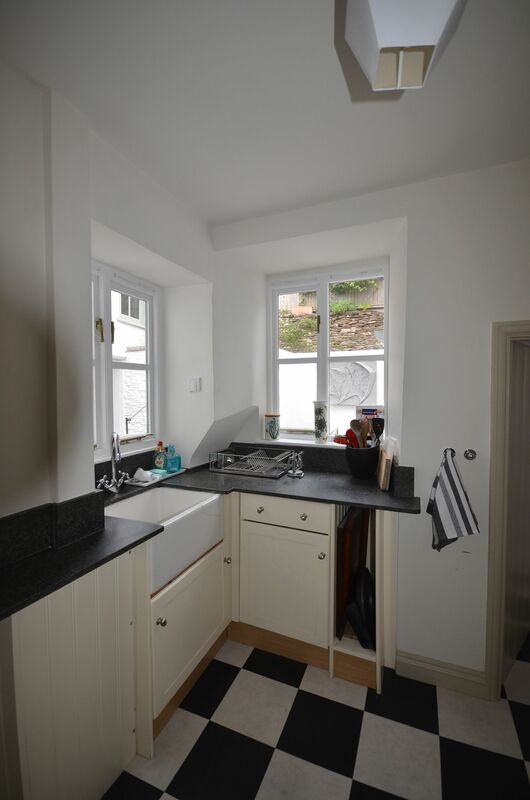 Off the kitchen is a good sized larder that houses the fridge and freezer. 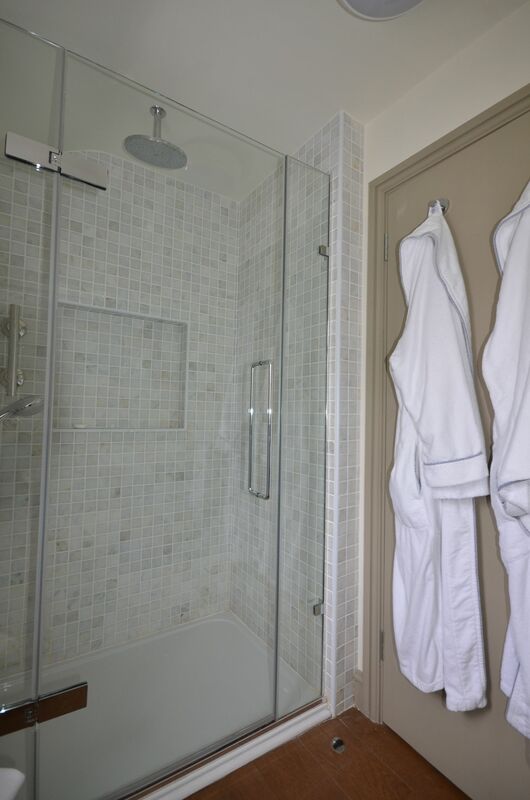 The ground floor also has the benefit of a shower room with WC and wash hand basin, and a family bathroom with a hand held shower, WC, wash hand basin and the washing machine and dryer. 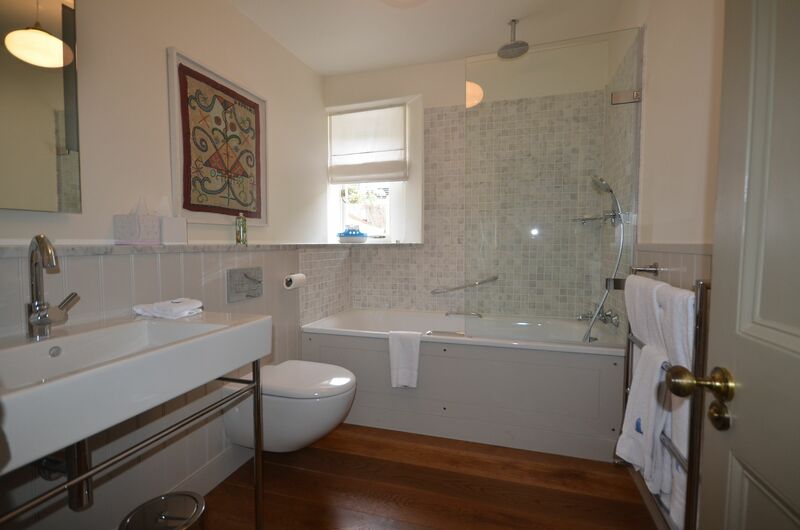 Stairs lead up to the first floor, and at the mid point there is a small cloakroom containing a WC and wash hand basin. 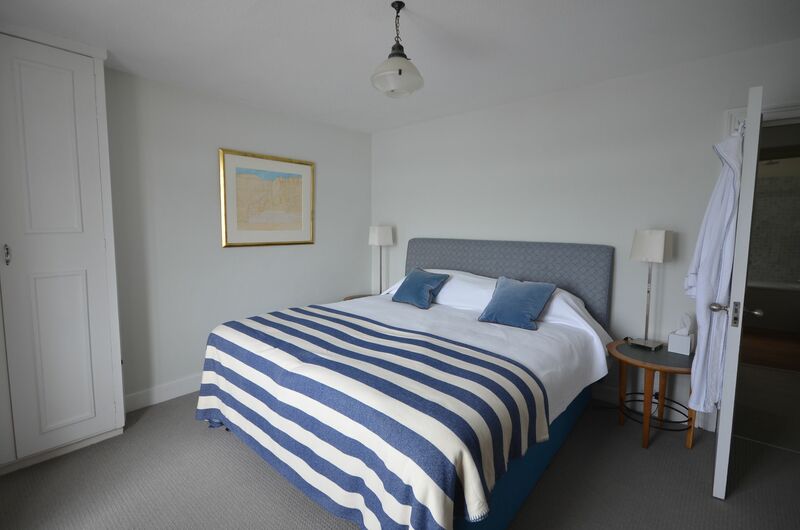 On the first floor there is a double bedroom with wash hand basin and lovely sea views from the balcony, which is accessed through French doors. 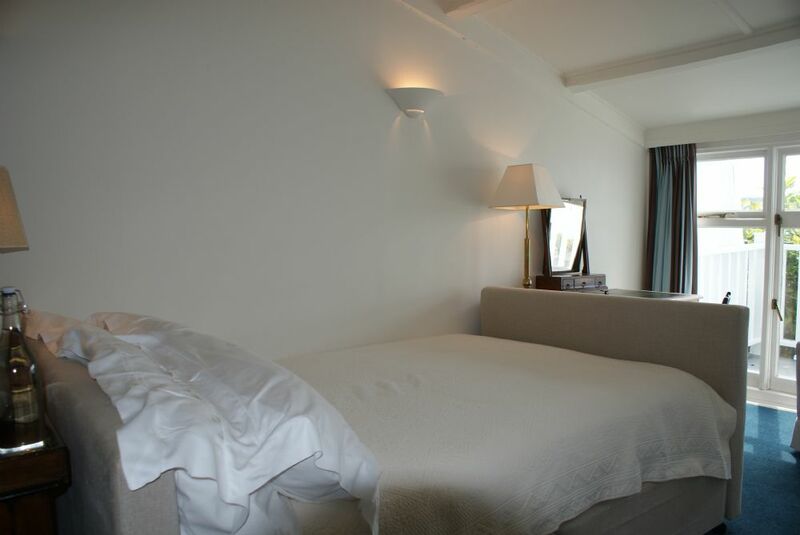 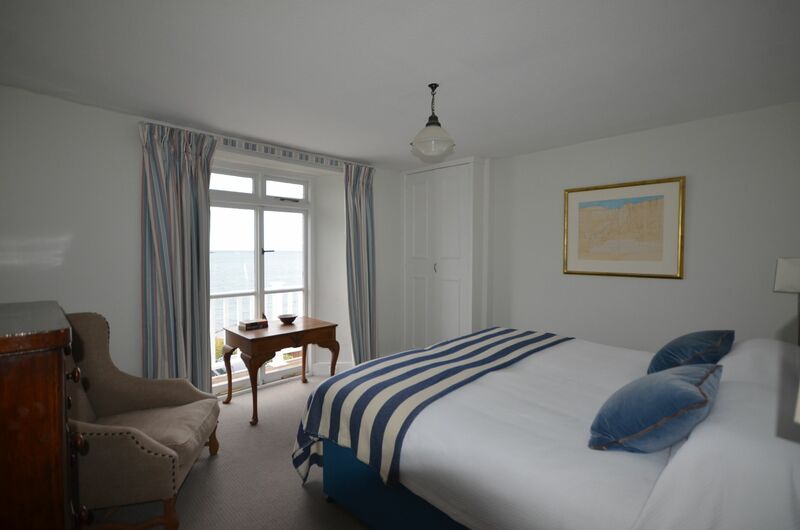 There is an additional double bedroom with sea views and French doors to the balcony. 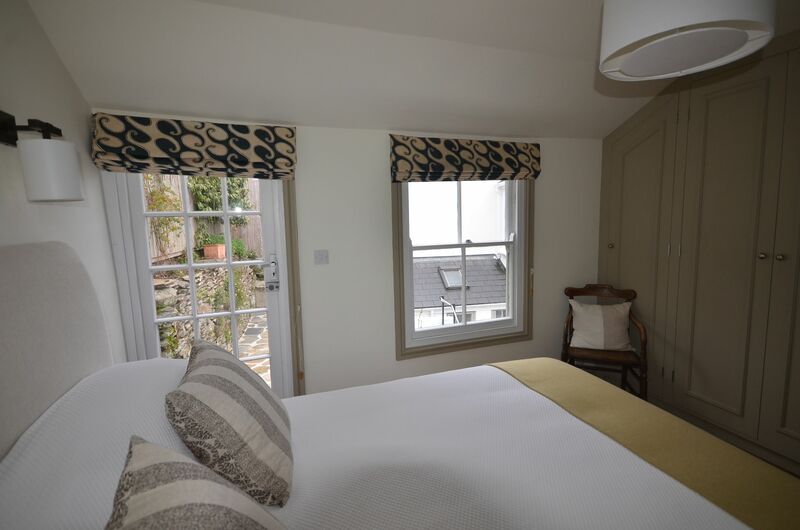 There is an ensuite double bedroom with sea views and door to the balcony, with bath, hand held shower, WC and wash hand basin. 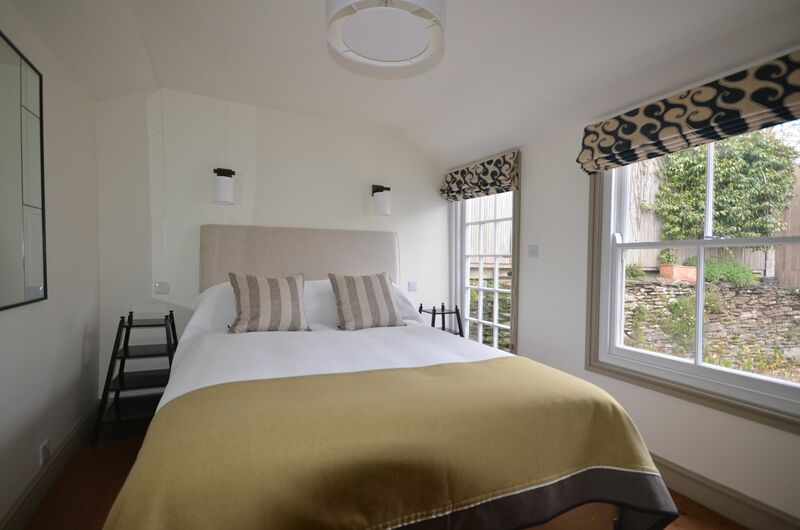 At the rear of the property there is a double bedroom with door to the garden/courtyard from where there is private access to the Hotel. 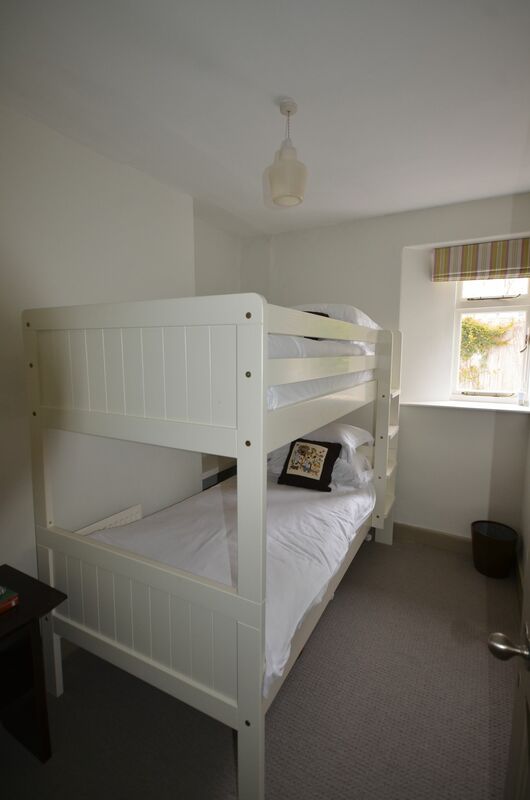 There is a further double bedroom with wash hand basin. 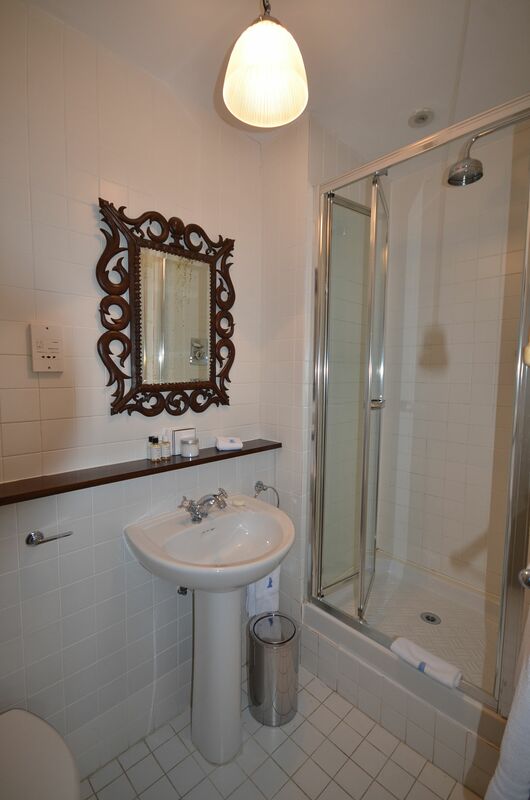 There is a family bathroom with bath, hand-held shower, WC and wash hand basin. 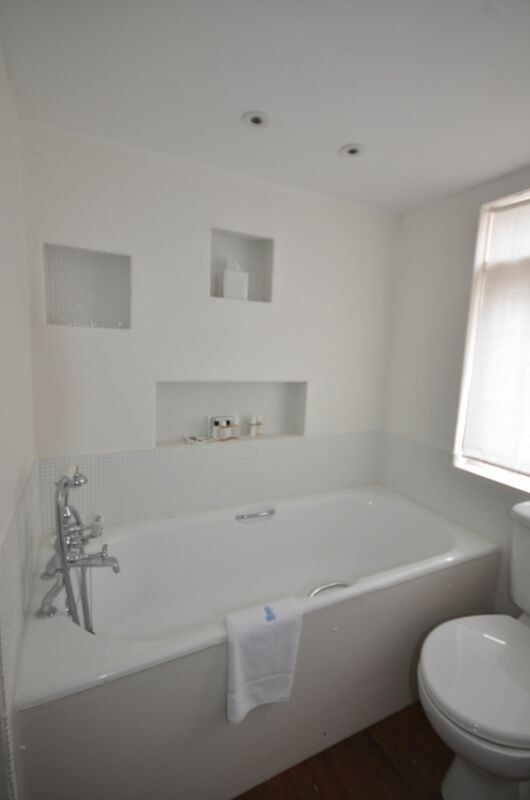 An additional family bathroom has a bath, hand held shower, WC and wash hand basin. 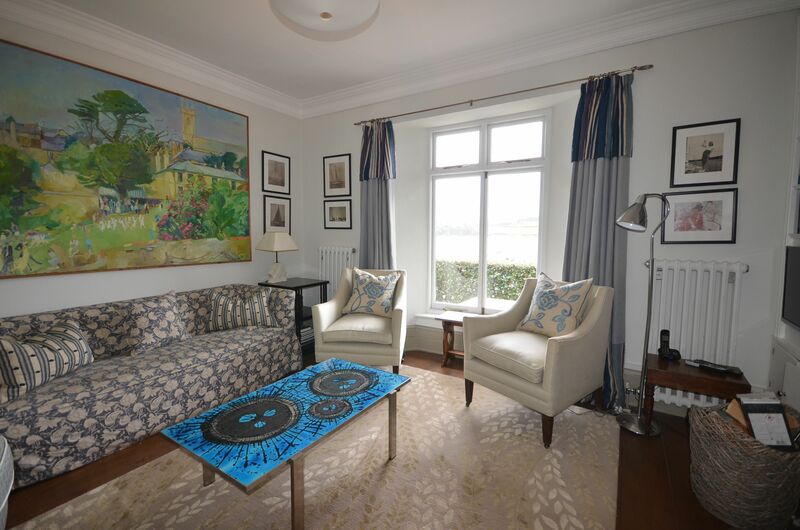 To the front of the property, there is a terrace with garden furniture that catches the sun for most of the day. 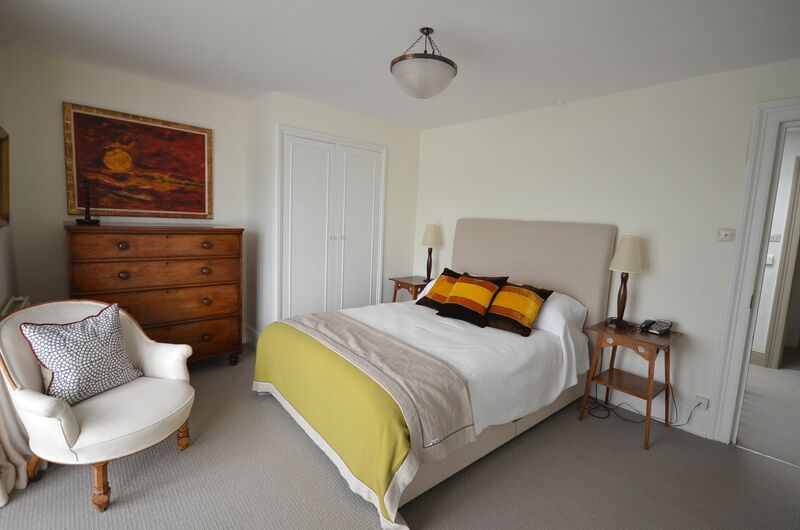 This property is enhanced by central heating and has the benefit of nearby parking.